Martha Lavender Music offers outstanding instruction in voice and vocal coaching for performance and audition preparation. Martha’s educated and experienced team of Teaching Associates offer instruction in piano, guitar, saxophone, clarinet, flute, trumpet and acting. Teaching is my passion and joy. For over thirty years, I have taught private voice lessons; coached singers, directed choirs, musical theatre and opera productions; worked as a high school music teacher and church music director; and written and arranged for various performance groups. In the classroom, rehearsal hall, and private studio, I connect with my students and facilitate their understanding of singing and love of music. It is my utmost goal to help each and every singer reach their full potential while enjoying the process of learning and growing as a performer. My vocal instruction is based in the Italian bel canto tradition, which emphasizes purity and evenness of tone across all registers, and vocal agility. It is my highest priority to instill in all my students a healthy foundation and a solid understanding of proper singing that can lead to success in any style a student wishes to sing. I teach students age 8 to adult from all around New Jersey and the greater Philadelphia area. Many of my students are interested in pursuing musical theatre performance opportunities. Some work on classical and serious art repertoire. Many enjoy contemporary pop/rock music. Others are recreational singers who are looking to just become more comfortable with the act of singing and want to “find” their voice. My style of teaching can reach the student who is just beginning as well as those who have had years of experience and are far along in their vocal studies. 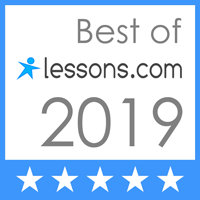 Lessons are taught in my home studio in Cherry Hill, New Jersey where I use a computer system based around Apple Logic Pro software and other state-of-the-art technology to assist in my teaching. I received my Master of Music Education from the University of Florida and my Bachelor of Arts in Music from the University of California. I am a full member of the National Association of Teachers of Singers (NATS). Martha is an amazing voice instructor. My son has grown leaps and bounds with her. Her positive, supportive approach and her talent at teaching voice make her the perfect teacher for everyone: from those seasoned singers looking to move to the next level to the newest singer just beginning to learn some technique. Her studio is a fun and comfortable place and her demeanor makes everyone feel happy and welcome as they learn. Student Samples (audio and video) demonstrate the diverse interests and abilities of Martha’s Students. Here is a sample of one of Martha’s students featured in her Studio Sessions series. Check out the Media page for more Student Spotlights, audio recordings, and pictures!